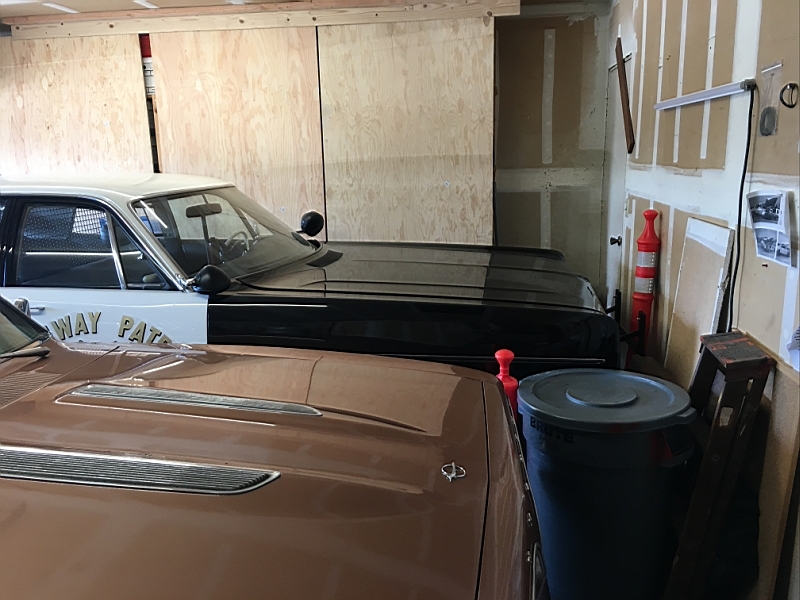 I have played with the placement of the Barracuda and now do not need to pull the Barracuda first to get in the Polara. 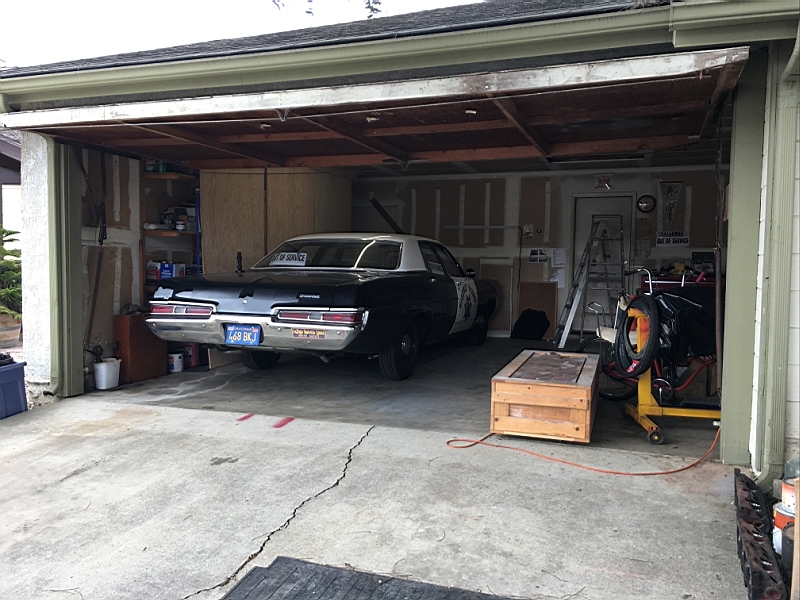 Not having an engine in the way helps. 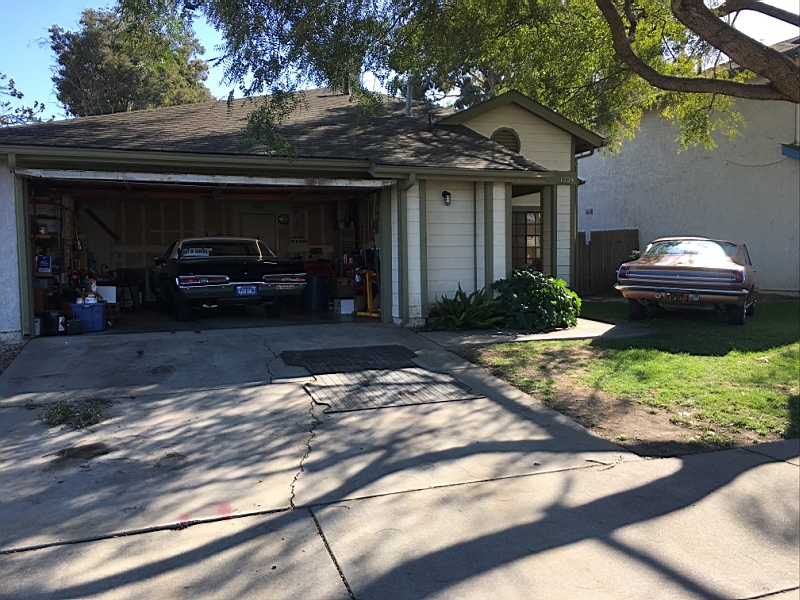 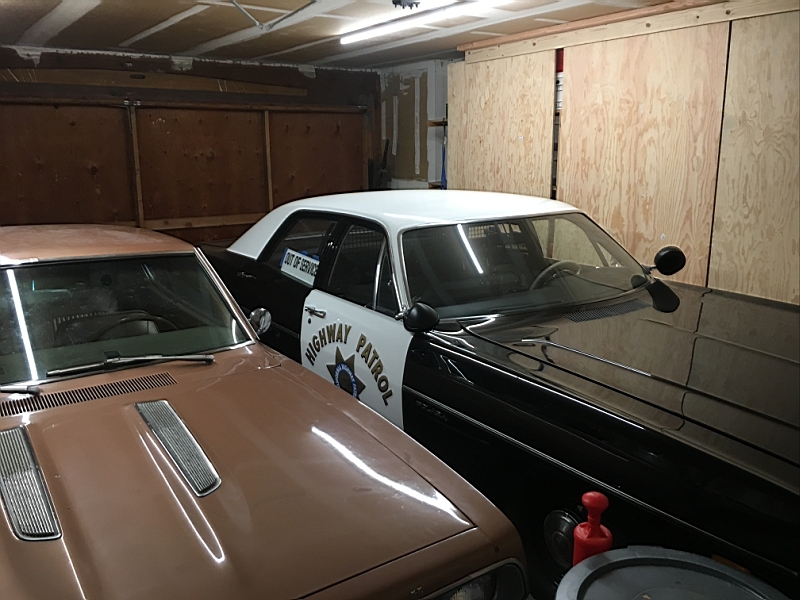 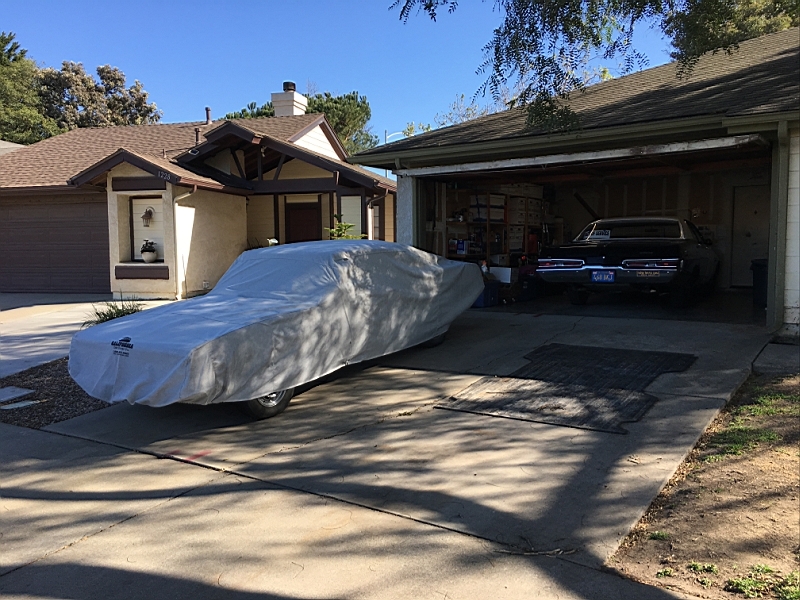 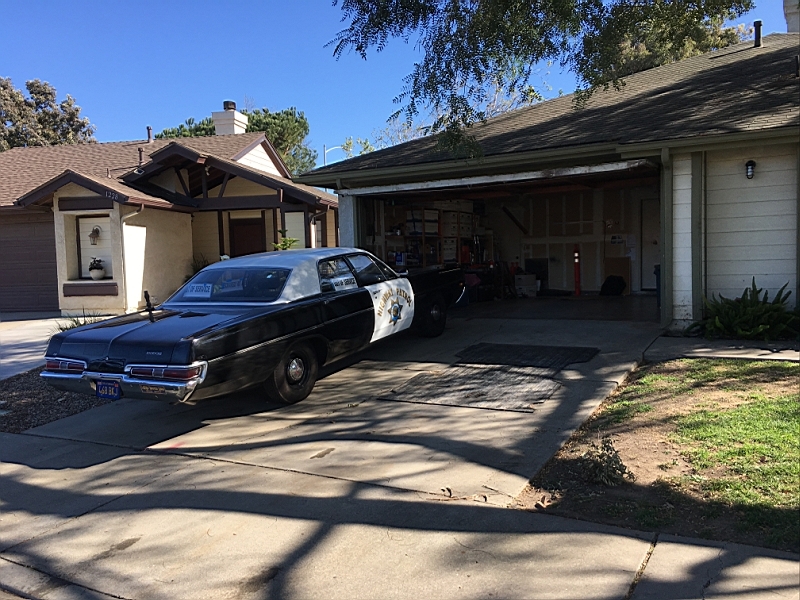 For the entire time I was restoring the Polara the Barracuda sat on the driveway under a cover, now that the Polara is done it is time to get the Barracuda back in the garage. 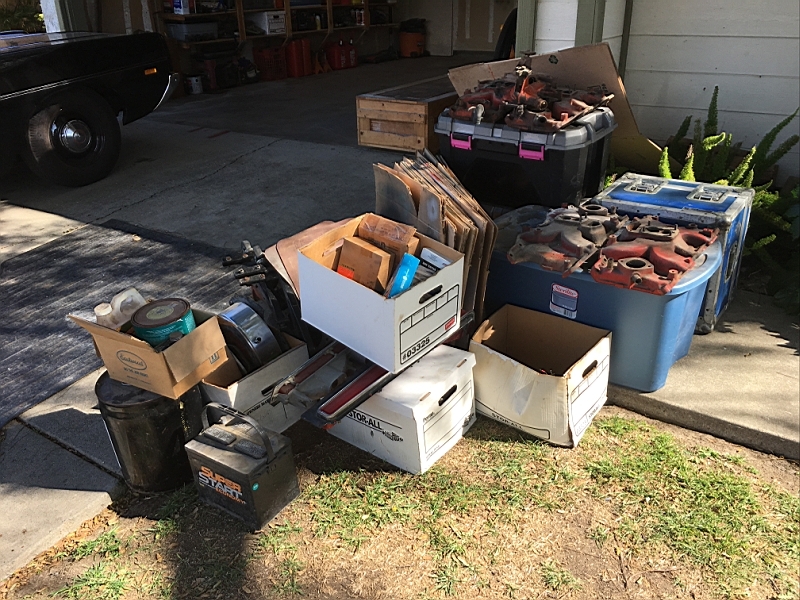 For a while I was trying to clean here and there and get rid of some stuff or take it to storage but that just wasn't happening fast enough. 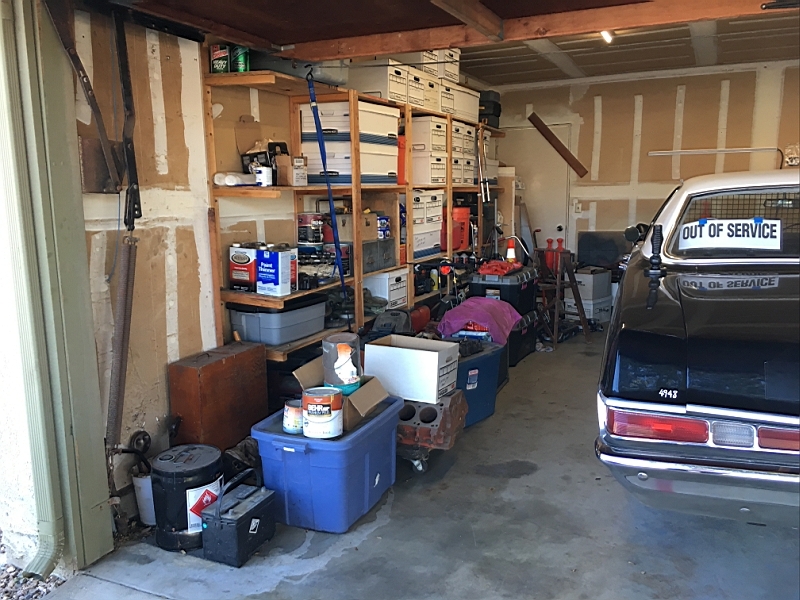 The plan now was to just clear the space for the two cars and deal with the stuff after the fact. 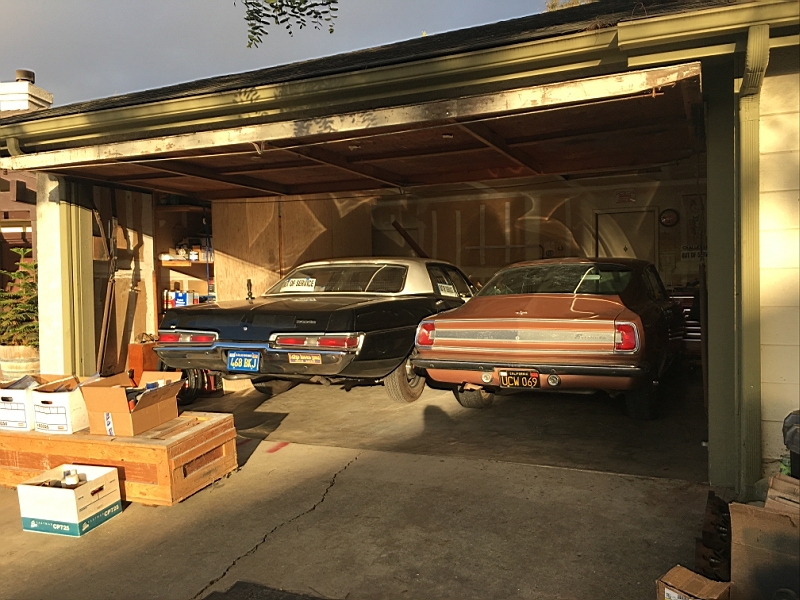 The Barracuda was moved from the driveway to the lawn so the Polara could be moved out of the garage and out of the way. 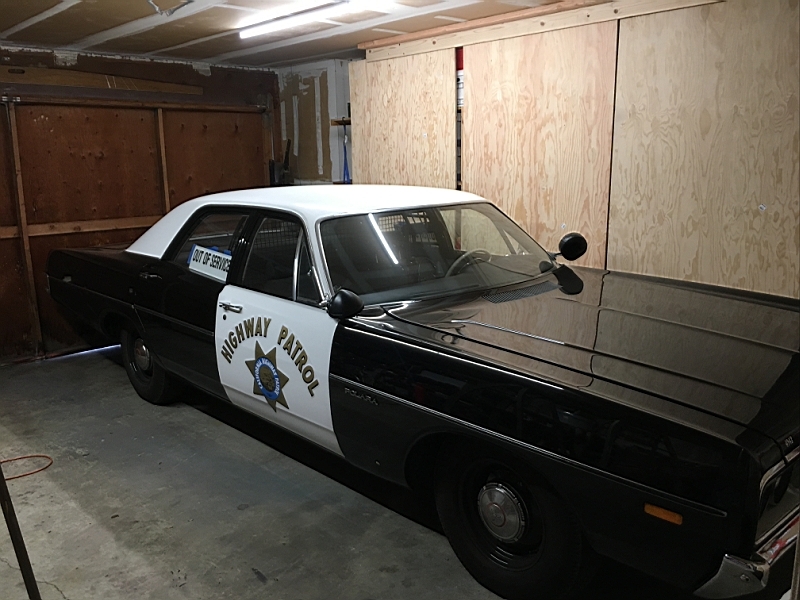 The Polara would need to be parked inches from the shelves so I wanted to secure the stuff on the shelves so there was no chance of something falling on the car. 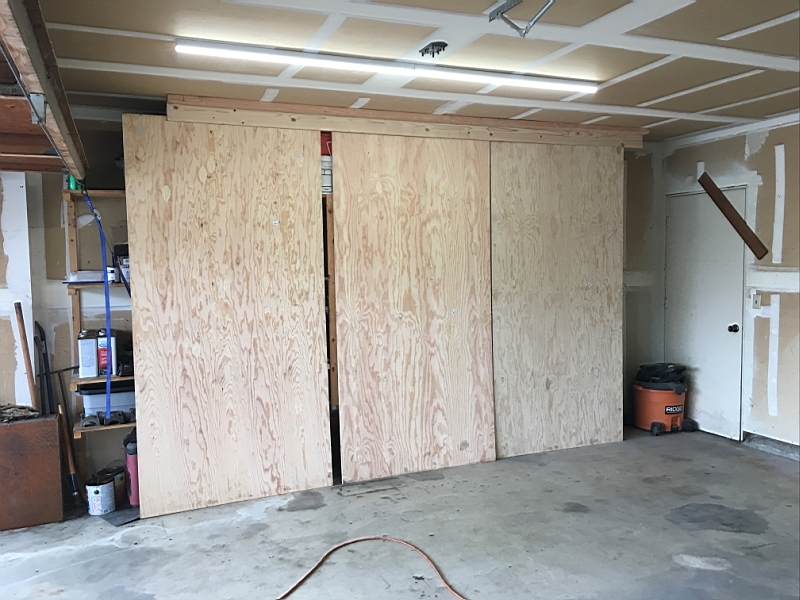 Initially I had planned on putting doors on the shelves but felt I could accomplish the same thing with panels. 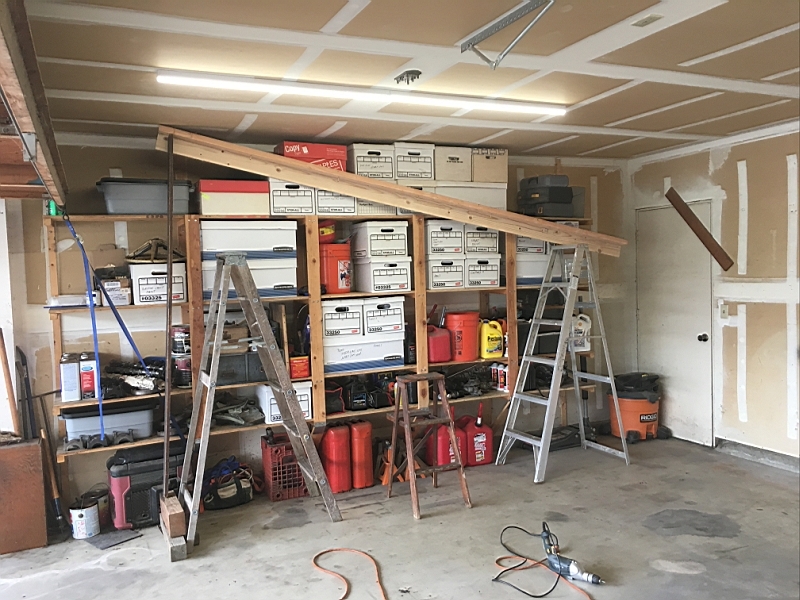 A rail was secured to the ceiling to hold the top of the panels. 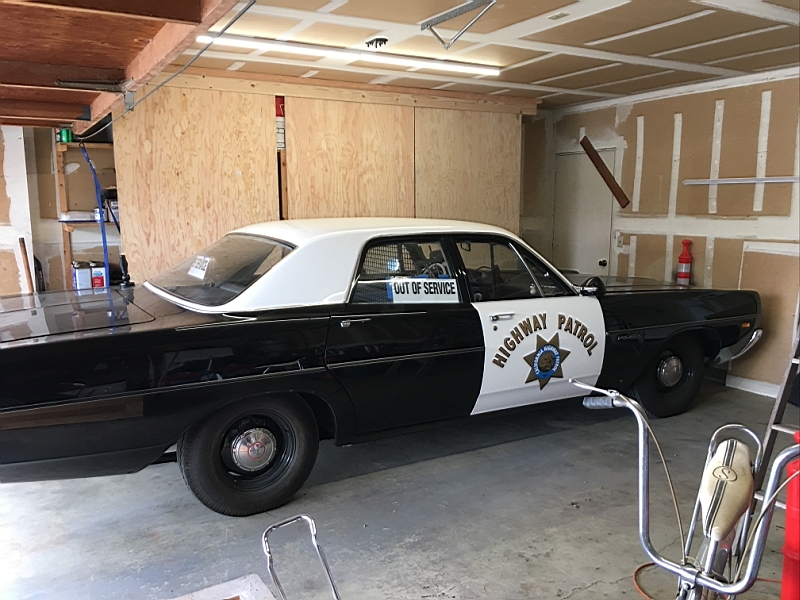 With the panels in place the Polara was put in and I had to slide out the passenger side. 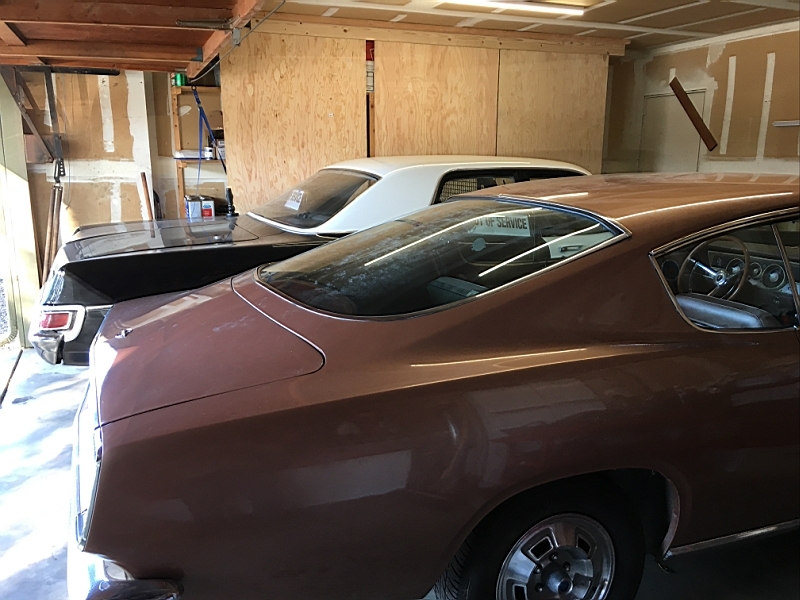 The other side was clear out and the Barracuda rolled in (and had to climb over the console so I could exit the passenger side). 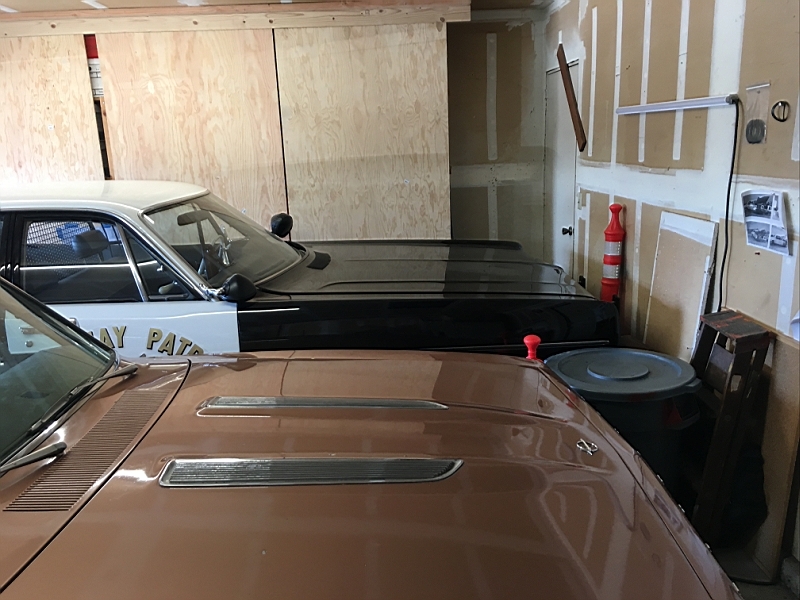 Highway delineators were used to line up the cars and set the stopping points. 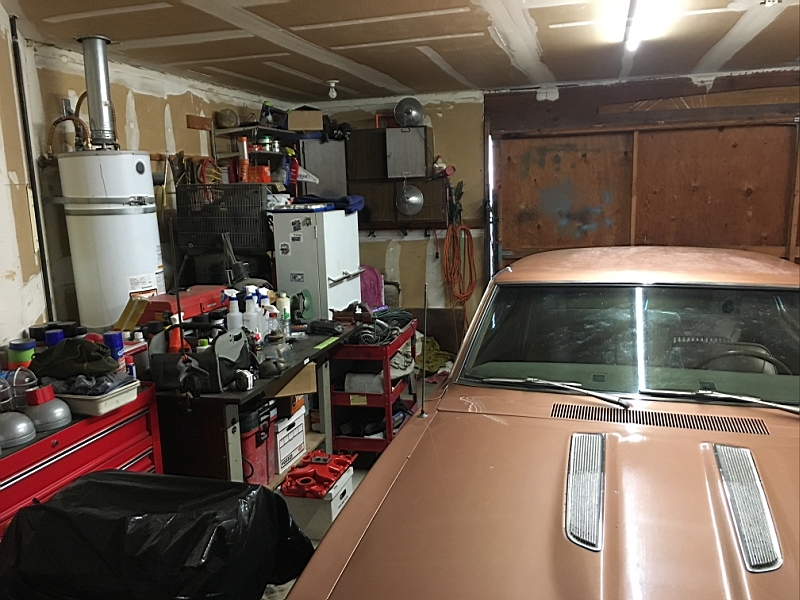 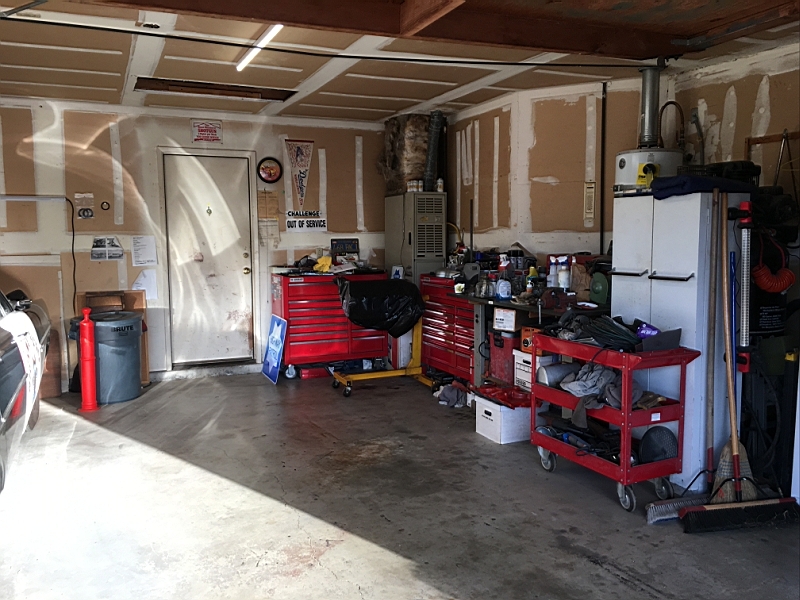 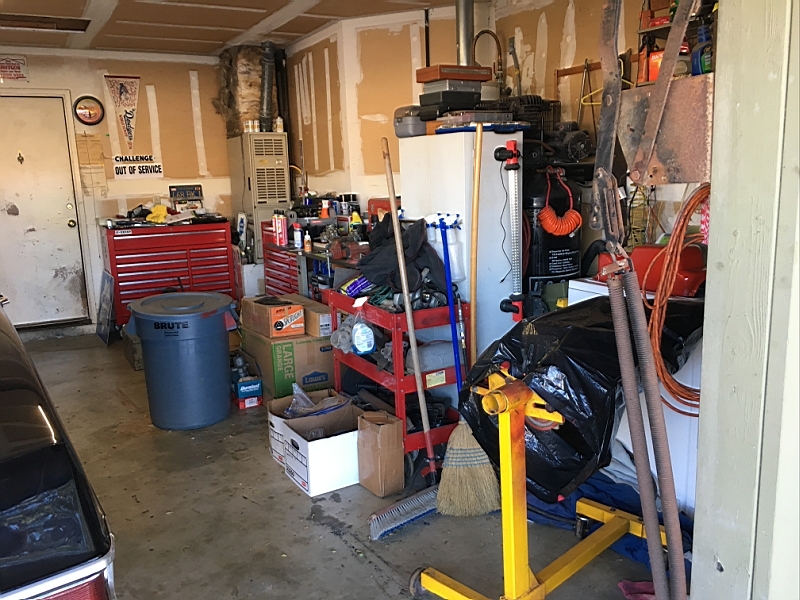 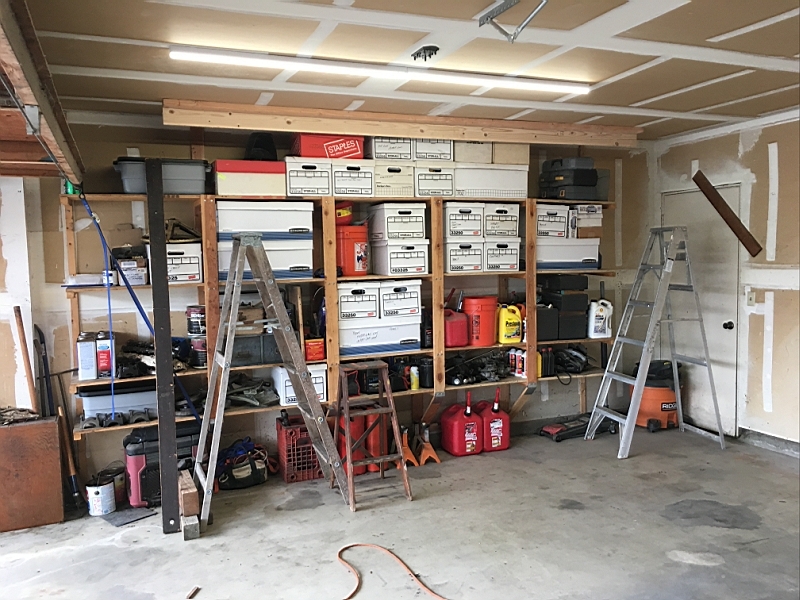 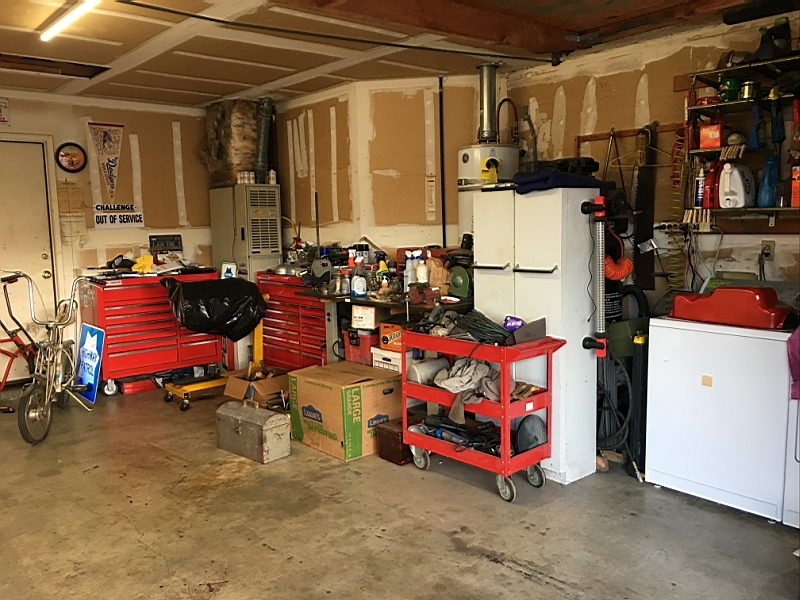 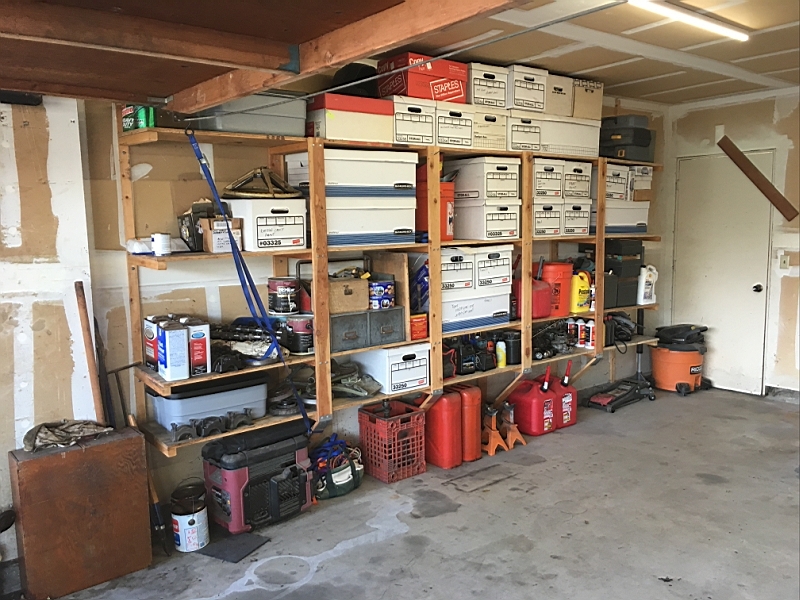 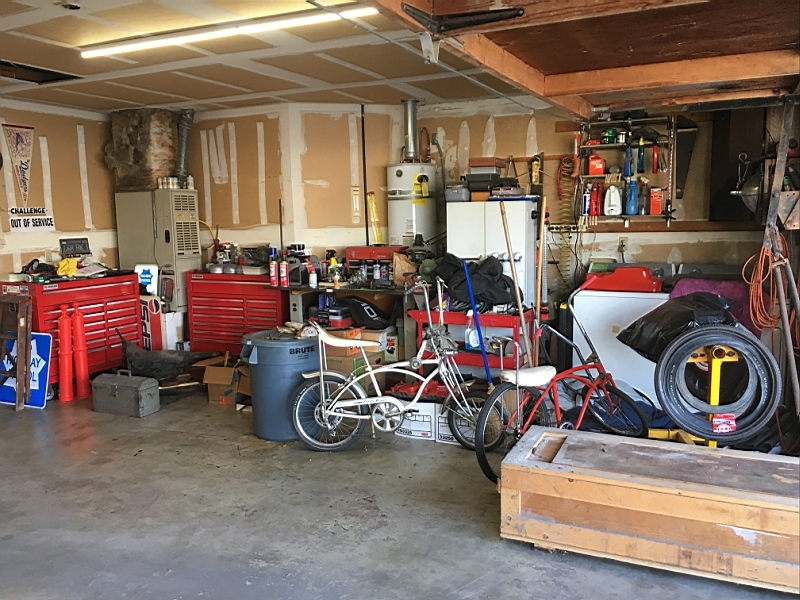 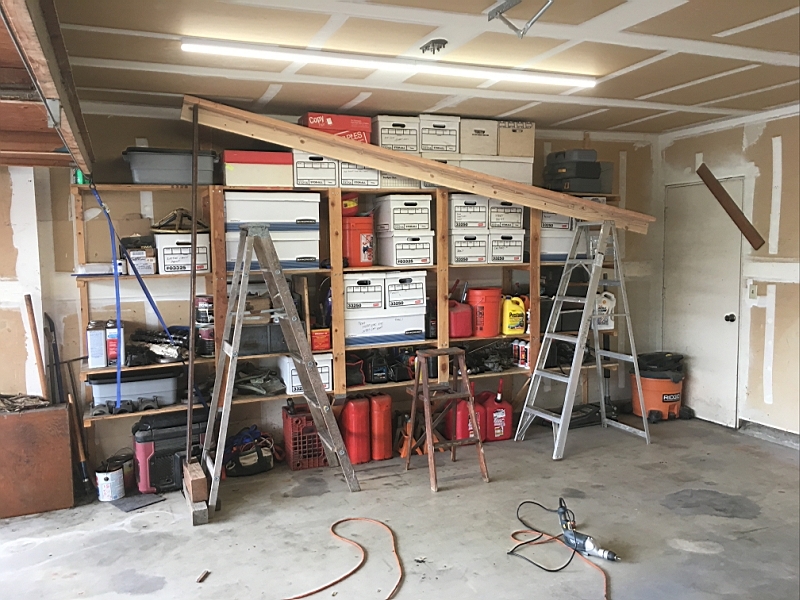 With both cars in the garage I have little space in the garage, it doesn't help that I have an engine on a stand taking up the path needed to get around the front of the car.